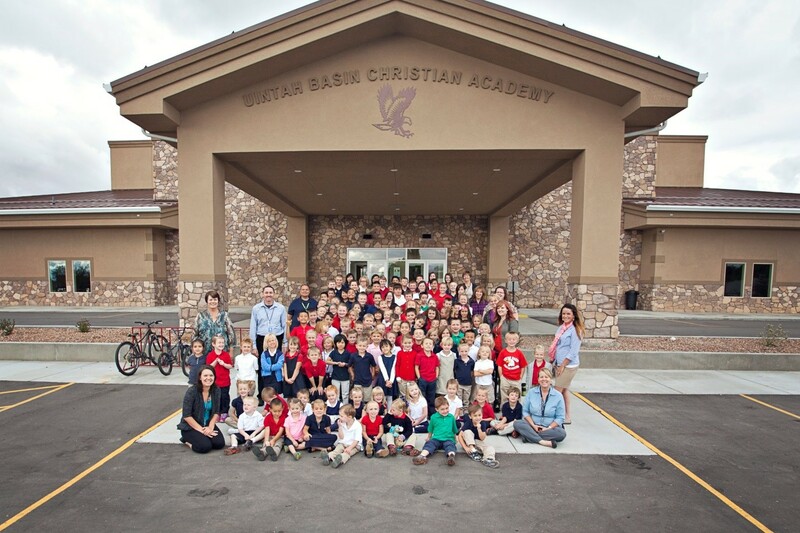 Uintah Basin Christian Academy (UBCA) began in 1999 as a non-denominational auxiliary of Vernal Christian Church and has grown since its inception. Students in preschool through eighth grade attend UBCA, with a current enrollment of one hundred forty students. Thirteen faculty and staff members provide a supportive environment for children to learn and grow in the knowledge of Jesus’ grace and saving power. In the fall of 2014, a new chapter began as the new 32,000 square foot facility was opened, debt-free, with the support of donations from across the country. After seven years of planning and preparation, the doors were opened by the grace of God. Please visit the academy in person or via the website at www.ubcaeagles.org to learn how you can be blessed by the ministry at UBCA.